Thirteen years ago everything changed. May we never forget about those who lost their lives. May we never forget those who helped people get to safety. May we never forget our service men and women who fight every day to protect our freedoms. May we never forget everyone affected by the terrorist attacks that happened that fateful day. 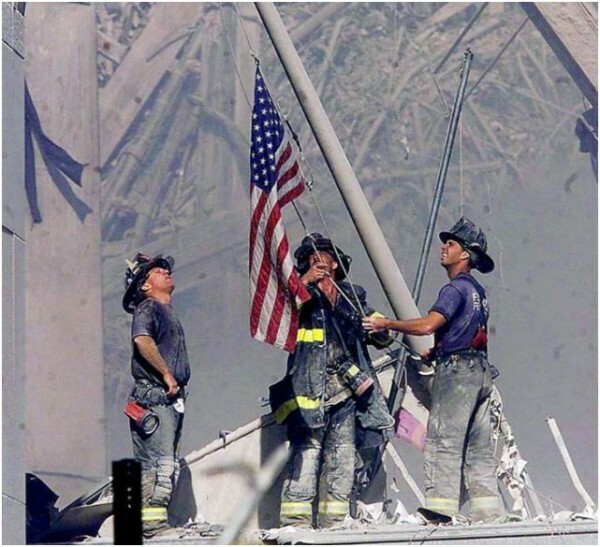 May we never forget that we are Americans. 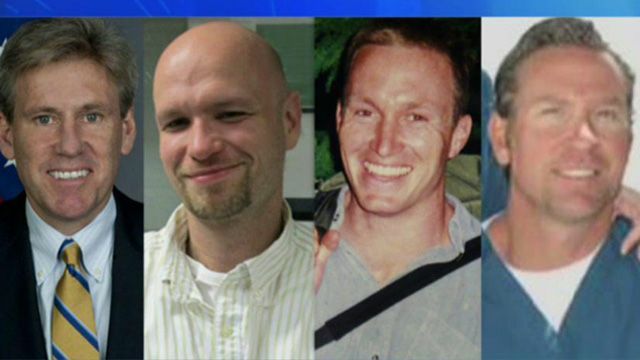 May we never forget the four Americans who lost their lives on this day in 2012 in Benghazi, Libya. I leave you with this poem that was published on September 23, 2001. That our flag was still there through the gloom and despair hanging on porches, flapping in schoolyards painted on cheeks of young mothers whose husbands are leaving to face the rockets’ red glare, bombs bursting in air and our flag is still there. Through weeks of despair that flag was still there. When death came on silver wings towers in ruins, bodies in flames, when up from the ashes a dark smoke arose and lingering there, like a child unaware, waiting till mother or father came home but they are never coming home. Hearts everywhere, offered a prayer, and in the midst of that gray rubble square a flag was still there. Did you even know two weeks ago where your stars were buried? Where your stripes were stowed? Behind boxes and crates? Behind mowers and rakes? So taken for granted this symbol of freedom, tucked behind charcoal and snow boots and rusty old bicycles, but . . . when the call came to show that we care we all did the same our flags were right there. It has not always been the most respected cloth: Burned in protest mocked and ignored. But when, as a nation the time comes to mourn at half-staff it flies from morning till dawn. And when we are stirred as a people of might it soars high on ships. It says “We are right in this fight, we are right.” It pulls out of port It augurs “Beware” The flag that’s still there. Those broad stripes and bright stars are now hanging in bars and diners and Kmarts and windows of cars. We’ve even heard stories of seeing Old Glory tattooed on arms, or stitched through the night then purchased on sight. When this war began the first thing we ran out of, in fact, the only thing that this great nation ran short of was flags. Flags everywhere. And the flag is still there. Oceans of banners now, armies of flags, sea to shining sea’s worth of flags. We wave them at baseball games, during the “stretch,” we wave them at cameras, at airports, at friends. Never before have we seen such array the country bedecked in a single display. It’s like one shirt, one blouse, one pair of shoes red, white and blues. It’s all that you wear the flag, that’s still there. I never did feel the strength of those words that Mr. Key wrote often sung but not heard “Gave proof through the night” that she was still there what a wonderful, comforting image we share. We cherish it now, it shows that we care that our hearts will repair. And through this despair this much we can swear we bend but don’t break we are united, these states, Look outside — a new dawn’s early light And our flag is still there.